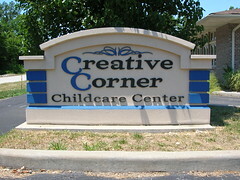 Welcome to Creative Corner Childcare and Preschool, providing the highest quality education and childcare for infants through pre-kindergarten, as well as before and afterschool care for kindergarten through fifth grade and summer camp for ages 5-12. Our goal is to provide a safe nurturing environment with a creative based educational curriculum designed to promote learning and exploration in a warm and fun environment. As educators, we are well aware that learning is a life long process for children and teachers alike. Continuing education is a critical component of our program giving our teachers the opportunity to experience, first hand, new theories and practices that they may choose to implement in their classrooms. Parents of children ages 2-5, will be given two assessments each year to help gauge their child's social, physical, emotional and cognitive development. Our center features controlled access and monitoring cameras in each classroom. 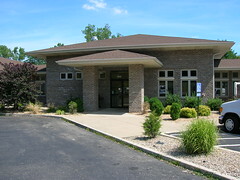 We transport to Mount Hope, Westhoff, JLMudd, Forest Park and Assumption. 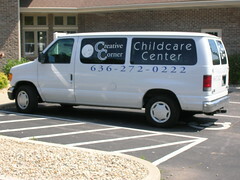 Due to our close proximity to Mount Hope, we transport to its before school clubs.